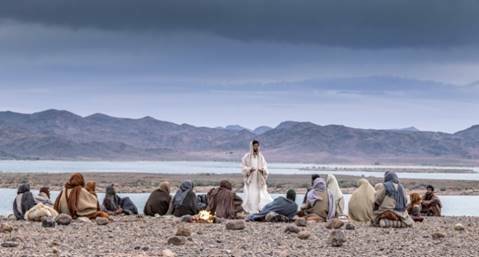 Alison Shaffer: JESUS HIS LIFE, AS TOLD BY THE PEOPLE THAT KNEW HIM BEST airs Monday, April 15, 2019 on HISTORY. See the trailer now. JESUS HIS LIFE, AS TOLD BY THE PEOPLE THAT KNEW HIM BEST airs Monday, April 15, 2019 on HISTORY. See the trailer now. Going to church on Sunday is a given in my house. We go to church on weekday Holy days, days my parents were helping out with events, my mother was the first Flower Guild, and well, we spent a lot of time at church. That builds for a strong foundation in faith and family. My sister and I visited my Grandparents pretty often in our young childhood. And, Yes, we went to Church every Sunday. Dressed in our darling dresses, patent leather shoes, a dime in our purse wrapped in a linen hankie. There were a few times my Grandmother did not go to church with my Grandfather, my sister, and I.
I always thought, wow that's so odd she's not going up to church. She was busy in her kitchen cooking and preparing a home grown and home cooked meal for my parents and the family when they came to pick us up later that day. But, my Grandmother did not miss church on a few given Sundays, nope, she listened, watched, prayed, and sang along with the service on television. She said Amen out loud, Thanked Jesus and prayed. I know this because she was had the church service on long before we walked out the door to go to church. I really like the song "It is well with my soul". It's a good way to keep your soul at peace. This Easter Season if you are or aren't a formal church goer or like to watch along on the television, HISTORY has a four part series that begins Monday, March 25, 2019 at 8 PM ET/PT. Check your local listing for JESUS HIS LIFE, AS TOLD BY THE PEOPLE THAT KNEW HIM BEST; JOSEPH, JOHN THE BAPTIST, MARY, CAIAPAHS, JUDAS ISCARIOT, PETER, PONTIUS PILATE, MARY MAGDALENE. There are 8 episodes in the 4 part series on HISTORY. Disclosure: I was compensated for this post. The comments and views are my own.